Why Become a NeoGrass Approved Installer? Posted on 7th August 2018 at 12:29 pm. 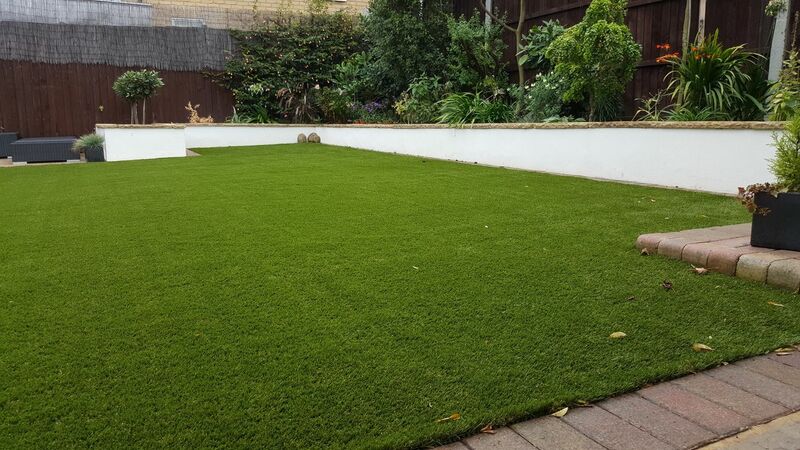 Here at NeoGrass we have an ever-growing list of reputable and highly experienced artificial grass installers that are transforming gardens and public areas right across the UK. The benefits of choosing a local NeoGrass Approved Installer are numerous. Each company has to meet strict selection criteria to become an Approved Installer. All of our Approved Installers are regularly monitored and vetted, meaning those high standards have to be maintained. This gives our customers complete peace of mind that the service and standard of installation that they will receive will be of the highest quality, whether the installer was approved last week, last year, or several years ago. The knowledge and experience of our Approved Installers means that they are capable of advising clients on the best installation practices and recommended products to suit the individual needs of every type of application, from small front gardens through to large 3G football pitches. All of our Approved Installers are well versed in our innovative technologies and are able to help clients make decisions on the technologies recommended to them, to ensure they’ll get the most out of their artificial lawns. But what are the benefits of becoming a NeoGrass Approved Installer to landscaping professionals? Our latest blog post will be looking at the many advantages of partnering with us, as well as providing information as to how you can go about applying. Let’s start with looking at exactly what a NeoGrass Approved Installer is. What is a ‘NeoGrass Approved Installer’? NeoGrass Approved Installers are approved and accredited to install domestic and commercial artificial grass products manufactured by NeoGrass in accordance with best installation practices and techniques. Our NeoGrass Approved Installers are often our clients’ first port of call. Many of our customers prefer to have a professional installation carried out rather than venturing down the DIY route. For professionals, installing artificial grass can be a quick and straightforward process, but for a first-timer installing artificial grass can be a frustrating experience. And that’s where our Approved Installers get their chance to shine. Our NeoGrass Approved Installers are trained to have excellent product knowledge that will enable them to help clients choose the best artificial grass to suit each individual’s needs. Free site visits are then conducted by the Approved Installer. In addition to our nationwide installation team, there are certain projects where we would look to promote our contractors as preferred installation partners, for additional support. Why Should Artificial Grass Installers Choose NeoGrass? NeoGrass was formed due to the lack of quality artificial grass available in the UK. Through years of research and experimentation, we have developed three key breakthroughs that are changing our industry: Instant Recovery®, Feelgood® and Natural Look®. We are proud to lead the way with our range of high quality artificial grasses, which are improving the lives of our customers. As a result of our high-quality products, we generate thousands of leads on an annual basis. These are passed directly on to our Approved Installer network, which results in our current members having consistently full order books and as much work as they can handle – many find themselves in such demand that they can be booked up for months in advance. NeoGrass provides installers with the support needed to grow their businesses and the partnership has proven to be a profitable and rewarding experience for our existing members. What Do Approved Installers Get from the scheme? As an Approved Installer you will receive customer leads directly from NeoGrass. There aren’t any ongoing costs involved in becoming an approved installer – if you have met our criteria, you are then ready to receive local leads from us. We reserve our very best pricing for Approved Installers, and you’ll benefit from large discounts across the entire NeoGrass range of products. Once fully approved, you’ll have your very own installer profile page on the NeoGrass website. Customers in your local area will be searching for local installers via our ‘Find an Installer’ page. Here, customers will find out more information about your business and then be able to contact you directly, seeking a site visit and quotation. We also link out to our installers, to help boost the SEO of your website. We offer free training to all potential installers to help you develop the skills and techniques that will enable you to carry out artificial grass installations to the highest standard, using the most efficient methods. We’re also on hand to offer product and technical support to help you advise your customers on the best products to suit their needs. Our delivery network has the ability to deliver our products across the entire length and breadth of the UK within 3–5 days, ensuring your materials arrive on site exactly when you need them. We also run a rewards scheme in which you can earn points on your purchases. These points can be exchanged for free products. You’ll be provided with all the marketing materials you’ll need to run a successful artificial grass installation business. We’ll supply you with unlimited free samples, brochures, stationery and sales aids. Why Does NeoGrass Offer This Scheme? Many of our customers choose to have their artificial lawns professionally installed and, due to the difficulty in finding quality installation professionals, we’re building a network of the UK’s best installers to meet the ever-increasing demand. Our scheme is designed to help our customers find professionals that they can trust. How Do I Become a NeoGrass Approved Installer? Becoming a NeoGrass Approved Installer is completely free of charge and there aren’t any ongoing membership fees, either. Just complete our application form and your local Installer Support Manager will be in touch to discuss how we can help grow your business through adding artificial grass installation to your services. We’ll also pop a free sample pack out to you in the post, so you can see for yourself just how amazing our products really are. For landscaping professionals and specialist artificial grass installers, joining our network of installers is a complete no-brainer. Being a NeoGrass Approved Installer doesn’t cost a penny and you’ll receive the support and leads to help take your business to the next level. Our best installers have long waiting lists and are very much in demand. Artificial grass is quick and easy to install and many of the landscapers we are currently working with are finding it to be very profitable. Why not take advantage of our scheme and apply to become a NeoGrass Approved Installer today? If you have any questions regarding our scheme, then please leave us a comment below; we look forward to hearing from you.